The Central African Republic’s President Faustin-Archange Touadera told the United Nations on Monday he wants to “accelerate” the disarmament, demobilization and reintegration of members of armed groups. 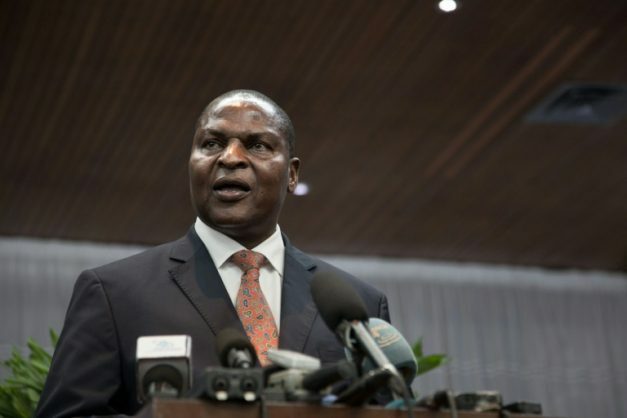 “I have instructed my government to work toward reducing the harm and threat of armed groups in the Central African Republic, by accelerating the implementation of the disarmament, reintegration and repatriation program,” he said at a meeting concerning the peace process in his country. His comments come as the FPRC — the Popular Front for the Rebirth of Central Africa, one of the country’s main armed groups — threatened to march on Bangui. Touadera urged “dialogue” as the preferred approach to combat the violence that has ravaged his country since 2013. Morocco’s UN envoy Omar Hilale, who initiated Monday’s meeting, assured the Central African Republic of the UN’s “support” and said he would soon travel to Bangui.